With the rapid emergence of new technologies such as the Cloud, it is important for business executives and stakeholders to focus on the real business challenges and the needs of the enterprise. By examining some of the key business problems that are prompting companies to use the Cloud, it is possible to build a stronger business case for adopting this technology. I’ve explored many different use-cases for Cloud Computing from several industries and found common drivers throughout. The use-cases demonstrated business value through optimising resources, lowering costs, and providing solutions on-demand when and where customers, partners and employees need it. The following are key business benefits of the Cloud that organizations require to optimise their business performance. 1. The ability to consolidate information across disparate systems with complete transparency to the user. When information is stored in the cloud, the user does not need to know where the information is stored, whether in one cloud server location or more. 2. The ability to modernize business systems at a low-cost and fast speed of deployment. With Cloud Computing, business leaders engage with service providers to “rent” versus “buy” these new innovative services and solutions. This significantly reduces the cost of entry for new solutions and allows businesses to innovate quickly. 3. The ability to move to a remote desktop services model using the Cloud. With this model, users access applications when and where needed, then release the application license back to the Cloud so that other users in the company can share a common pool of licenses. 4. The need to support high storage capacity requirements, which can ebb and flow in size requirement throughout any given month or year. By leveraging storage capacity via the Cloud, businesses use and pay for only the storage capacity they need, when they need it, on demand. 5. Rapid deployment emerges as a consistent business value theme. With Cloud services, new solutions are accessed via the Cloud by end users, lowering time and cost to deploy solutions across many physical locations. Also, with this central control of IT, business value is driven by the ability to centrally manage user access for security purposes, perform IT maintenance, and address any IT problems. 6. The ability to provide IT using self-service capabilities. In the new Cloud model, development employees can self-provision a very specific hardware and software environment for their testing purposes without requiring additional assistance from hardware and software support personnel. 7. The need to support mobile services. Many solutions in enterprises are “going mobile”, whether supporting mobile employees or services to customers via mobile devices. With mobility services accessed and delivered via the Cloud, support for mobile users is transparent and available on-demand at lower costs to the enterprise. 8. The need to support internal and external collaboration for employees and partners. To minimise cost while driving collaboration, many of the use-cases examined take advantage of collaboration via the cloud to share documents and support meetings online to reduce travel costs. Cloud will be a topic of discussion at The Open Group Conference, San Diego, Feb. 7-11. Join us for best practices, case studies and the future of information security, presented by preeminent thought leaders in the industry. 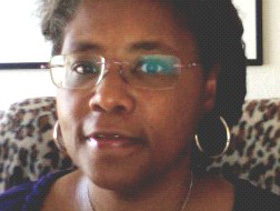 Pamela K. Isom is a Senior Certified, Executive IT Architect with IBM Global Business Services. Pamela joined IBM in June 2000 and currently leads efforts that drive Smarter Planet efficiencies (such as the adoption of Cloud and green computing) throughout client enterprises using, and often times enhancing, its Enterprise Architecture (EA). Pamela is a trusted advisor to clients and she is a hands-on Cloud adoption strategist and implementer. Pamela is a Distinguished Chief/Lead IT Architect with The Open Group where she leads the Cloud Business Use Case Work Group.